You don’t get to be one of the oldest mattress companies without also being one of the most innovative. For well over a century, Simmons has been leading the industry with groundbreaking mattress technologies that, frankly, make other mattress companies look like they’re sleeping on the job. Simmons has demonstrated to have one of the best research and development teams out there. Every facet working in concert that’s Beautyrest Platinum Hybrid™. From its expert craftsmanship and innovative design to its superior style, this collection offers both an exceptional mattress and a finely tuned sleep experience. Beautyrest Black® is where technology and luxury intertwine to take you far beyond mere comfort. It’s about sleep that indulges the senses. Sleep that refuses to compromise. Sleep that’s so completely restorative and inspiring, it borders on the sacred. Explore the distinctive elements that compose the Beautyrest Black sleep experience. A SmartMotion™ Base powered by Sleeptracker® is the latest in sleep-optimization technology with advanced sleep tracking and coaching capabilities so you can wake up refreshed and ready to take on tomorrow. The high-tech Sleeptracker® app not only tracks your sleep cycles and stores your data, but also controls your SmartMotion™ Base and plays soothing sounds to help you fall asleep. It’s simple—you’ll feel more rested on a Beautysleep® mattress. So if you’re ready to enter the world of better sleep, a Simmons Beautysleep® mattress is a great place to start. 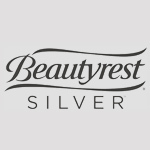 The Beautyrest Silver® collection of mattresses incorporates the very latest in mattress technologies. What that does mean for you? Better support. Better comfort. Better temperature management. Because it isn’t about hours clocked in bed—it’s about getting recharging sleep that will refresh and empower you for the day ahead. Enjoy the precision and control that comes with Beautyrest’s legendary Pocketed Coil® support system. Hundreds of individually wrapped coils flex to your unique shape to help provide personalized back support, generous freedom of movement and precision pressure point relief. This is a premium quality designed mattress. YES, I would like more information about Simmons Beautyrest Mattresses! Where you’ll find solutions for every room in the house.